Newcomers to the world of poker are eager to learn the game and frequently turn to experienced players to get advice. While each poker professional seems to have his own personal playing style, based on having faced countless hands at the table, we’ve compiled a list of the tips for Texas Hold'em Poker to help you improve your game. There are tips for poker beginners and Texas Hold'em poker tips for advanced players. Some of these Texas Hold'em tips may be obvious to you from the start, while other poker game tips will give you new ideas how to play winning poker. Consider this collection of valuable poker tips a starting point for your poker endeavors. 1) Don’t Play Every Hand = As a beginner you will probably be eager to play as many hands as possible, but you’ll end up losing your stack very quickly. Make sure to know the best starting hands and take your time deciding what hand to play. Folding is not a sign of inexperience. 2) Don’t Stay in a Hand Just Because You’re in It = You can’t win a pot just by throwing money in it, and if you have the losing hand, getting out will end up saving you money. Just because you’ve already bet doesn’t mean that you’re permanently committed to a hand. Fold if you can’t win. 3) Observe Your Opponents = Even when you’re not involved in a hand you should carefully watch your opponents. Their actions, tells and gameplay will serve as a valuable teacher. Even as a new player you’ll be able to pick up the signs when your opponents are bluffing, or when they really hold the winning hand. 4) Don’t Play above Your Limits = You’re not going to get rich in your first game of poker, but you can definitely get poor. Only join tables which your bankroll can afford, and only take to the table an amount of cash that will not break you. As a beginning player, you have to know not only what the table limits are, but what your financial limitations are as well. 5) Know When to Call It a Night = You shouldn’t play poker when you’re drunk, or in a bad mood, or after you’ve just had a fight with your girlfriend. Sometimes the best decision you can ever make about playing poker is knowing when to stop playing poker. If you’re on a winning streak, you can stop while you’re ahead, and if things are going badly, you should just stop. 6) Start at a Single Table = You may be envious of online poker players who are capable of turning a profit while multi-tabling all over their computer screens, but as a beginner, it’s best to start at a single table. Join a table at low stakes and build up your confidence. You can always add a second table at a later stage. 7) Muck, Don’t Show = Playing online poker gives you the simple option of mucking your cards and you should take advantage of this. There’s no need to show your cards when you win, or when you lose a hand. It doesn’t really improve things for you; instead it will open a door to your opponents and that will leave you at a disadvantage. 8) Keep Bluffing to a Minimum = Yes, bluffing in poker is a major part of the game, but as a beginner you don’t have the track record to be a good bluffer. You should concentrate, instead, on making the best and most appropriate bets with your cards, and from there you need to work on reading your opponents and learning how they act. Bluffing is a skill you should plan to employ at a later stage. 9) Learn the Importance of Position = You need to realize that your position with regards to the blinds is a key factor in winning the hand, and you should make your bets accordingly. Make sure you understand the strength of your opponents’ hands if they act in front of you. In some cases, having excellent position is more important than having excellent cards. Take advantage of your position when you can. 10) Take Advantage of Weak Opponents = As you play you will quickly learn which of the players at your table is experienced, and which of your opponents is weak. Take this into consideration when placing your bets, as the weakness of your opponents will give additional strength to your hands. 1) Not every hand is action-packed in poker = If you watch poker tournaments on television you will notice that there is a lot of action in most hands during the program with exciting all-in moves and massive pots being contested. Televised poker is edited, so the less interesting hands are not shown. Winning Texas Hold'em involves folding while you wait for strong hands. Phil Ivey has said in many interviews that he finds the early stages of a poker tournament very boring because he folds so often. 2) Take a long term view = Luck plays a part in poker. We all hate taking a bad beat but remember that bad players keep coming back to play because they think they are just being unlucky when they lose. Luck therefore gives you more chances to win. In the long term the more skills you have at the poker table the more money you can earn. Over time everyone gets dealt the same cards, it is how you play them that dictates your success or failure at playing poker. 3) Observe your opponents = Poker is a game of incomplete information. You will never be shown what your opponent's cards are during a hand so you must use educated guesswork to put your opponents on a range of potential hands and make your decision on how to proceed from there. Their betting patterns, previous play, their table talk and physical tells in live poker give you clues to their hole cards. 4) Always play within your bankroll = Before you go to sleep, repeat the title of this tip as a mantra. It is critical to Poker. Playing sensibly allows you to remain part of the game and gives you time to learn the optimal poker strategy you need to win. Never bet more than you can afford to lose. 5) Before you check your hole cards, watch = Most players check their hole cards as soon as they are dealt, but you should wait. Watch your opponents check their hole cards as many give a reaction as they look that gives you a clue whether their hand is strong or not. Remember not to react to your own cards when you look at them! 6) Watch for players trying to fool you = When a poker player tries too hard to look weak, professional players sense that they may not be giving out the true strength of their hand. Most players try and disguise their actions, so be suspicious if one player suddenly starts shaking their head, saying how unlucky they are and openly looking glum. Could they be acting and trying to trap you? Are these poker tips helpful? 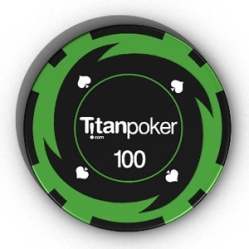 Download Titan Poker and take your newly acquired skills to the tables! Your poker site should have excellent software, good bonuses and a solid VIP program. You also need satellites into large live events, plenty of variety in what games you can play and good traffic. In short, you should play your online poker at Titan Poker, Europe’s leading poker room. Make sure you are sitting in comfort before beginning an online poker session. Try sitting for four to five hours in an uncomfortable seat. You get sore, irritable and this is not optimal for playing poker and winning money. This attention to detail really does make a difference. The chat box is a temptation to many players. Some players can type fast and draw you into a conversation. Remember to focus on the play, if you get distracted by the chat box either change the tab or disable the chat. Winning poker, not chatting, is the reason we play. There is a wealth of free information on blogs, YouTube, random videos and e-books. Do your research online and search for information that helps things resonate in your mind. Wherever you can find it, search for that “eureka!” moment that will make you a better poker player. Session reviews allow you to check that hands you won and hands you lost were played correctly. Winning poker is about making the right decisions as often as possible so reviewing and critically analysing past hands teaches you what you need to gain from each hand. It is a vital part of obtaining relevant and useful experience. If you are prone to writing abuse into the chat box after a bad beat or when you've gone on poker tilt, why not simply turn off your chat facility. Not responding to a bad beat is actually quite empowering and can make you feel totally in control of your emotions, an important element of winning online poker. Keep your eyes peeled for satellite tournaments on the poker room schedule including various special tournaments you may be eligible for. Titan Poker rewards depositors and regular players in a variety of fun ways so always check to see what the current offers are. 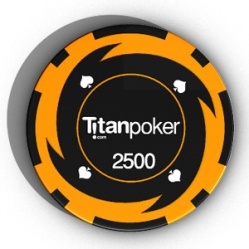 Titan Poker offers many different ways of setting up your table. Go through the settings and pick what you like best. We spend a long time staring at the screen playing online poker so liking what you see will keep the enjoyment levels high for longer. There is a massive amount of free poker content around the Internet, so use it! Read different articles as the authors have differing views on how to play. Anything that improves your game is worth considering. Article reading should be part of more extensive research that you do to improve the standard of your play. 2) Do not play too tricky! Many articles and videos discuss some of the more creative plays used by high stakes pros like Tom "Durrrr" Dwan or Patrik Antonius. Remember to practice and use your ABC poker game more often than your fancy plays. Fancy plays are good, but it is your solid game that will reap you the most reward at the online poker tables. 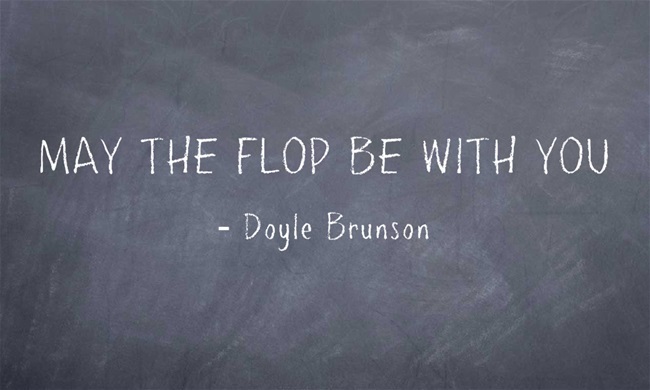 "Texas Dolly" Doyle Brunson said that he learned more from discussing poker strategy with his friends than he did at the poker tables. Discuss hands and how you played with poker friends and you will all benefit from the discussions regarding your poker ideas with away from the table. Titan Poker gives you the chance to play with someone else’s money but keep all of the profits for yourself! When you deposit check your account, you will have a tournament ticket into the Weekly Depositors Freeroll. With a $1,200 prize pool this tournament could give your bankroll the boost it needs, without risking your own cash to begin with. Players like Daniel Negreanu, Doyle Brunson and Lou Krieger are prominent poker theorists and writers and update their personal blogs regularly. You should check their latest work and pick up as many tips as you can. These blogs posts do not appear in poker magazines so their pearls of wisdom are secret to much of the poker community, but not to you! Ask most sports bettors if they are winning and the normal answer is, "I'm about even". This means they are probably losing! Use a piece poker tracking software like Poker Tracker to keep very accurate stats so you always know how your game is progressing. You should also review your good and bad hands to ensure that no matter what the outcome of the hand was, you made the right play. We all love playing online poker and we have all played and played when really we are struggling with tiredness or even boredom. When risking money, you should only do so if you are playing your best and trying your best. If this becomes a problem, for whatever reason, you should stop playing. Pokertube, YouTube, videos from poker bloggers and Television offer you coverage of hands played by professional players with commentary from experts. Listen closely to the commentary and try and implement the thinking and strategy into your own play at the poker tables. Opponents may play a hand in a strange way on purpose in the hope the rest of the table classify them as a certain style of player only to play differently later. Every hand you see an opponent play ask yourself if this changes your view of their style. Be flexible and do not classify an opponent early in a session and then never consider if you are correct. Poker comes in various forms online with games like Razz, Stud, Omaha and Draw Poker available for you to try out. By learning the different games this will help refine various aspects of what you need to learn in order to win at Texas Hold'em, the most widely played poker variation. Especially when out of position in poker, re-raise the raiser with premium hands only. You should always know what you will do if he shoves after you re-raise before you act. Re-raising with very strong hands means in a flip situation you have a good chance of being ahead, presuming your opponent also has a strong hand. Going through statistics is definitely not as fun as playing poker at Titan Poker but here is a good tip: go to a big Internet poker forum and ask for advice on improving your game. People like doing this sort of thing and then you can send them your stats and get free advice. You can mask your username if you want to remain anonymous. Make sure you take a bit of money and enjoy it if you get a big win. Money is the reason we play even though we enjoy it and enjoying the money makes it all feel worthwhile. You will feel positive about online poker and keener to work to improve and earn more money. You also get to buy cool things! If you enjoy live poker make sure you practice your chip tricks before you use them in a live setting. As well as looking impressive if you can do nifty chip tricks you look equally bad if you attempt a chip trick and it goes wrong spraying chips everywhere. Professional footballers are highly skilled yet constantly coached. Find a poker mentor that you can discuss hands and take advice from who can help take your poker game to the next level. You can only go so far on your own and this gives you the best chance of poker success. Challenge your friends to give you one piece of poker advice and see what they say. Write down all of their answers. Ten friends will give ten different pieces of advice and all will be useful in some way. 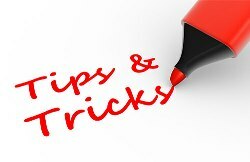 Keeping the tips brief removes the confusion that comes with elongated suggestions. If you are playing only to scrape into the money in a poker tournament you are not playing correctly. Aim for the win at all times. You may bust out where you could hold on for a few more dollars but do not worry. When you win a tournament it will be down to risking it all instead of coasting. The big wins make this strategy worthwhile. If you’re a multi-table tournament player, your goal is to win the tourney and to achieve that you must be successful in the end game, when you’re face-to-face with only one final opponent. Perhaps you prefer heads-up sit ‘n’ go tournaments, or maybe you relish the action in heads-up cash games. In any case, heads-up poker utilizes a different set of tools. Strategy must be adapted to this special type of poker action. The tips listed below will give you an advantage over your sole opponent in heads-up poker online play. In one-on-one play, you must control the action. This means that you need to keep your opponent cornered, following your leads, and folding to your cards. In heads-up poker you can’t afford to be passive. You should move on marginal hands, bluff more often, and stay on the offensive. If you do not raise, you haven’t given your opponent a chance to fold. Bluffing in poker is more common, and quite often more successful, in heads-up play. Remember that against only one opponent, you are not usually up against a strong hand. You, however, should bet as if you’re holding a strong hand. If you’re in position, there’s almost no such thing as an “unplayable” hand. When you’re out of position, you need to make up for your disadvantage with strong play. Steal the blinds when you can. If you’re first to act, make a big raise, as this can sometimes throw your opponent out of the hand. On the other hand, if your opponent raises and you don’t have a hand, you need to get out of the way quickly with an immediate fold. Don’t go all-in on every hand, as your opponent may elect to call you when you’re bluffing. In heads-up play you can increase the range of your starting hands, but don’t go overboard with all-in moves. While receiving pocket threes might not seem so good in the early stages of a tournament, in heads-up play against only one opponent, they serve as a very good hand. Take advantage of your good cards when you get them. In live play you can carefully observe the person across the table from you and look for the slightest signs of poker tells. In online play you should take note of your opponent’s betting patterns and adjust your play accordingly. Don’t give your opponent the chance to read you like an open book. This means, don’t raise every time you’re in position, and don’t fold every time you’re in the big blind if you don’t have a good hand. Occasionally you need to switch gears and play differently than you normally would. Players flock to multi-table tournaments but not everyone knows how to win them. Finishing in the money is quite an accomplishment, but how does one go about guaranteeing a big cash-out? We’ve collected ten tips that will get you to the final table of every multi-table tournament you play. Be selective about the hands you play, taking into consideration your position in the deal. A hand that can be played in late position may not be a playable hand if you're sitting in early position. As you play a tournament, compare your chips to the average stack. You should also consider your stack in relation to the blinds. The more chips you have (in comparison to the average and the blinds), the more you can make risky plays. On the other hand, if you’re far below the average and the blinds are going to deplete your stack momentarily, you will need to move quickly to stay alive. You’re not going to become a better online poker player just by reading strategy articles. You need to play. The more tournaments you play, the better you can perfect your skills. When you play a re-buy tournament, you need to have the bankroll to make re-buys. It’s as simple as that. Otherwise you’ll find yourself at a huge disadvantage to the other players. Players with big bankrolls may play in a wild manner, knowing that they can always re-buy if their taking chances don’t succeed. You need to be on an even playing field with them. If you can’t afford re-buys, play only freezeouts. Make sure to play to survive the early stage of a tournament and go into the middle stage with an above average chip stack. With the blinds so low in the early stage, attempts to steal them won’t increase your stack that much. In the early stage, you’ll best benefit from tight-aggressive play. In the middle stage of a poker tournament you need to be more aggressive. Stealing blinds is encouraged as their value has increased. Make sure to protect your chips as well, as your goal is to survive and make your way into the money. You need to know how and when to bluff, but do it wisely. Never bluff more than two players and make sure your bluffs are believable. Consider bluffing a tool in your repertoire, one that you don’t want to overuse. Yes, there is an element of luck in the game of poker, and what better time to experience this than in a poker hand where the result could go either way. Conservative players can save up their chips, but at some stage, they’re going to have to commit to an iffy pot. Make the best decisions you can, but sometimes you’re just going to have to go out on a limb to win a hand. When the tournament reaches the bubble stage, players are going to become extremely tight with hopes of surviving just one more hand and making it into the money. If your chip stack will allow it, you can take advantage of this situation and steal blinds and antes with little opposition. Your goal in every online poker tournament you play should be to finish in the money. While winning the tournament outright is the best possible outcome, it should not be your goal. You’ll have a better chance at tournament success if your goal is to win money.